Modular stainless steel enclosure TITAN series, stylish and corrosion resistant, completely adaptable, flexible, for food industry, petrochemical, pharmaceutical, electrical, which require smartness hygiene, sealing and long life. Our system is a closed profile in stainless steel steel, welded, giving greater strength and top quality. The doors sides and rear are hinged and easily removable with 120° opening, thanks to assembly with screws. All this is achieved with a perfect assembly system where after the construction requested modules are coupled with screws. But the best advantage of this cabinet is the use versatility it provides, in addition to the large number of customized accessories. 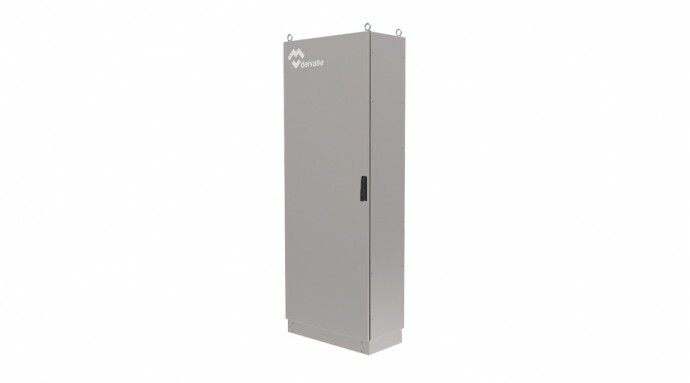 A perfect assembly system that gives the most consistent cabinet and facilitates the assembly of other components, along with an elegant finish make, this the Modular stainless steel enclosure Titan, one of the most popular enclosures. Especially designed for maximum flexibility in use. Rack 19” ideal accesories. Thanks to its versatility it can be used in the food and pharmaceuticals industries, where hygiene is essential, answer as in petrochemical, electrical, where sealing offering is essential and also in general industrial environments a long life.